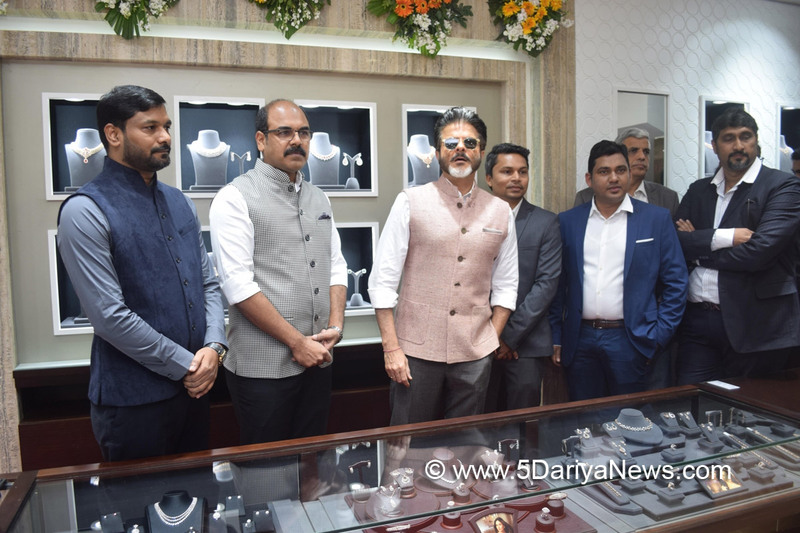 Veteran actor Anil Kapoor, who was born and brought up in Mumbai, says that whenever he visits the national capital he feels like he is visiting his own city.The actor-producer was here to inaugurate Malabar Gold & Diamonds' store in sector 18 where hundreds of fans were gathered to catch a glimpse of the "Mr. India" star. "I have been coming to Delhi for years now. My sister (Reena Marwah) stays here. I feel as if I am in my own city, meeting my people and Delhi people. So, it all feels good," Anil told the media here.Speaking on his relationship with the jewellery brand, Anil said: "My relationship with the brand and its people is very old and strong. They are opening up so many stores and now it is finally here in Noida. This is a brand, and all their generations have been into it. It is a family brand." Clad in a mahogany brown Nehru jacket and crisp charcoal black trousers and white shirt, Anil also danced to a few of his cult numbers like "My name is Lakkhan", "Rum ta jogi" and "No Entry" soundtrack with high octane energy for the fans, some of whom even clambered onto tree branches for a clearer view of the energetic actor. Anil said: "I have always wanted to bring a smile on people's faces, tried to entertain them the best way I can. I do such movies... sometimes I dance, sing, do comedy films. My motive is to entertain people. I wish I keep getting the love people give me. Be positive in life. This dialogue was filmed on me as I always adhere to this attitude in life. "Malabar Gold & Diamonds is planning to open new showrooms in various states across the country including five in Delhi/NCR, three in Punjab and is also planning to have its footprints in the US, Sri Lanka, Bangladesh and Brunei this year. In India, the brand has jewellery making units in Kerala, Tamil Nadu, Karnataka, Telangana, Maharashtra and Bengal.